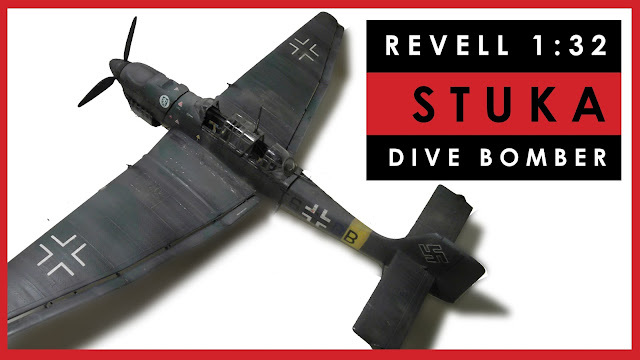 This showcase of my build of the 1/32 scale Revell Ju87B Stuka is the first in a new series of videos, where I show you my previous builds and discuss what they were like to construct, what pitfalls to avoid, what aftermarket items I added, etc. If you like it, please let me know. Alternately, if you don't like it or it's not interesting, please also let me know and I'll stop producing them. You guys are my audience, I want to make what you want to see! The 1/32 Revell Stuka is an old kit. I mean, really old. First released in 1969 type of old. Original 1969 box art. Source. Obviously, this was going to be a challenge. 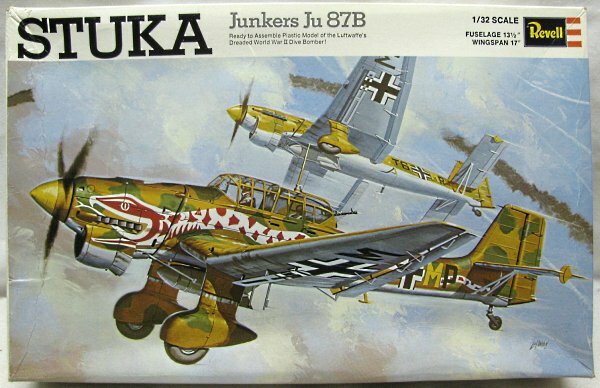 I really wanted a Stuka in my stable of aircraft models. It's such a brutal, predatory-looking plane. I wanted to see how much I could bring an ancient kit up to modern standards. There are definitely some shortcomings to my completed build. I couldn't face sanding off and re-scribing all the panel lines and rivets. I don't mind raised rivets, they don't offend my delicate sensibilities like they do to some people. That said, the rivets on this baby are definitely over-scale and a bit too pronounced. Anyway, have a look and let me know your thoughts. Like I said, if it gets a positive reception I will produce more review/showcase videos. If it doesn't, then kaput. My build of the Revell 1/32nd scale Stuka Ju87B model kit. I never knew about the window!